RAPID RESPONSE DISPOSAL TEAM EDINBURGH. Serving Edinburgh Residents & Businesses Since 1997. Free Quotes Call or Text Direct To Our Mobile: ☎️ 07969-297-596. Site Clearance, Recycling, House Clearance, Shop Clearance, Office Clearance Edinburgh, Rubbish Clearances, Furniture Disposal, Junk Removal, IT Equipment, Waste & Furniture Recycling Disposal Services Edinburgh, Fife, Glasgow and Commercial Property Clearance Throughout Scotland. Call or Text Direct to our Mobile No ☎️: 07969-297-596. Call Our Main Edinburgh Office No: 0131-557-0501. SAME DAY COLLECTION NOW AVAILABLE, SUBJECT TO AVAILABILITY. Rapid Response,General Waste Disposal, Recycling & Furniture Collection Edinburgh. 2019. Our Service Is Fast, Easy and Cheaper Than You Might Think ! Get An Instant free Quote. Contact us for the quickest and most cost effective solutions to all your disposal needs! We Can Take The Hassle Out Of Getting Rid Of Your Unwanted Items and we recycle as much as possible. Junk & Furniture disposal and Recycling, House Clearances, Shop & Office Clearance, Rubbish Clearance, Hazardous Waste Removal. Electrical Waste Disposal, Skip Hire Alternative, Deceased House Clearance and Probate House Clearance, Paper Waste and Site Clearance, Garden Waste removal. Prices From £40. In Total. Are We Fully Licensed by SEPA? What are we licensed to collect ? Yes ! we are fully insured for up to 5 million pounds public liability, fully trained and licensed by SEPA Scotland to carry out any property clearance and dispose of any type of waste inc, Furniture, Metal, Garbage, Wood, Rubble, House & Office Contents, White Goods, Builders Waste, IT Equipment , Carpets, Electrical Goods, Hazardous Materials Confidential waste, TVS, Trees and Garden Waste Disposal, Chemical Waste and Tyre's, Paints and Workshop Junk Cleared, House Clearance Edinburgh, Site Clearance and Special Skip Hire Services also. Rapid Response can supply the most reasonable prices, we also work fast and with little disruption to you, your staff, or your neighbors. GUARANTEED ! Helpful, Friendly Team and We Sweep Away Any Dust On Completion ! And Leave Us A Comment. CLICK HERE TO LEAVE US A REVIEW ON OUR NEW FACEBOOK PAGE. CLICK FRAUD IDENTIFICATION IN PLACE. We Can Collect Your Old Furniture, Rubbish And Junk From Any Location. House, Shop, Industrial Unit, Garden, Garage Or Office. Please tell us what area you live or work in ? ie what part of town ? What floor is the waste on ? Can we park outside OK? and pics if possible ? What Will happen to my Junk Once its Gone? 90 percent of all the waste we collect is fully recycled at our depot and any usable items we collect are regularly donated to several charities across the region, meaning someone else, less fortunate might also benefit from your disposal and also means we send a lot less waste to landfill as a result which is great for everyone and the environment. Why Is Rapid Response The Most Used Disposal Service In Scotland? Simply Because We Care About Giving The Best, and Most Cost Effective Service Available ! The company prides itself on customer relations since 1997 when the company was re set up by a long established Edinburgh family that have had over 50 years combined experience in house clearances in Edinburgh and the disposal & Junk Removal trade since 1963. ​They could regularly be seen coming up Edinburgh High St with they're Horse and Carts Back Then. The company shifted all its operations into the recycling sector back in the early 1980s when recycling really began to kick off in Scotland. Since then, the original founders from the 60's, have long since hung up their work gloves as they have become older inevitably, and instead of being out side and 'Uptown' with the younger generation of us still doing clearances, the elders prefer being indoors these days, watching 'Downtown' instead ! The business is still operated in the spirit of their original vision though, to run a successful recycling and junk collection business based in Edinburgh and offering a fair and upfront service to they're customers, domestic or commercial. Rapid Response are the number one choice for Edinburgh residents and associations for getting rid of bulky Junk, old furniture and general waste from any location with minimum stress or hassle caused to our clients, Guaranteed ! Rapid Response is Native to Edinburgh, a down to earth, family run company that offers free quotations and provides excellent service and value for money for domestic and commercial customers throughout Edinburgh and most of Scotland. and rest assured we have the largest vans available as well. Our fully trained crew do all the lifting and loading for you whilst making sure all of your items fit in the van in one go, so you don't have to lift a finger. Fully insured and licensed by SEPA Scotland, We Have Offices in Edinburgh, Glasgow Fife and Lothians. Our company specializes in Recycling, House Clearance, Commercial Waste Removal, Probate House Clearance, Site Clearance, Rubbish Removal, Shop Clearance, Garage and Warehouse Clearance, Bulky Junk Disposal and we can also collect and dispose of any waste, including Hazardous waste from in and around the Edinburgh and Fife areas. Rapid Response understand the need to be fair and upfront with our customers is Paramount in Business. Being a recycle company, we know first hand that what goes around, comes around ! So we apply that ethic to the way we operate and to the service we provide, and in following this basic rule we feel, is the secret to our success, and hopefully reverberates with our customers too ! Q. What attributes to growing a successful reputation? Full commitment to supplying Edinburgh and the surrounding areas with the most efficient and competitively priced junk, waste and property clearance service available, including Office, Shop and House Clearance disposal for our domestic or commercial clients in Edinburgh, and throughout the rest of Scotland including, Glasgow, East &West Lothian, The Borders and St Andrews, without any hard sell tactics or hidden charges. We have all had a bad experience with tradesmen or a rogue professional at some stage in our lives, whether its hidden charges, overcharging, or carrying out work in a sloppy way and not doing what they promise, it is awful when it happens to anyone, especially if you work hard for your income, although it is foolish for any company or individual to operate like that as no one would call that type of company back ever again, given a choice ! we are human, conscientious to your circumstances and endevour to continue that basic quality in our work when carrying out any disposal or clearance work for our clients. 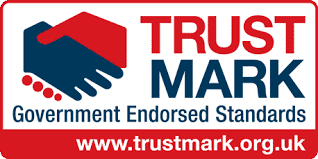 In making sure we always conduct ourselves in this way, helps us insure our growth continues and maintains trust with our customers, making sure that we remain the number one clearance and disposal company within Edinburgh, Fife and the rest of Scotland. Presently, and hopefully well into the future too ! We wont let you down on the day ! Free, Instant, No obligation Quotations & advise available, 7 Days a Week. Rapid Response Edinburgh Came and Cleared out our offices from all our old IT equipment and Junk in Edinburgh. We were very pleased with the service .and the quotation they provided was very reasonable compared to the other quotations we received from other local disposal firms. I fully recommend Rapid Response Disposal for a fast and efficient disposal service. Pam Johnson, Managing Director at Zaza, Edinburgh. Rapid Response House Clearance Edinburgh cleared out my mothers house after she went into a care home recently. The 3 guys and the nice young lady that came to do the job were very helpful and even packed the contents of cupboards into bags for us, which we found to be hard work and emotionally draining doing it by our selves. They cleared the whole house in less than an hour too and swept up after the job was completed ! Please feel free to share your experience using our services also at wastecrew@aol.com and we will add it here and please remember to recommend us to friends and family too.